Alright, guys. Here is how the “Lady Midnight” review is going to go down. NO SYNOPSIS. Why? Because if you’ve read all the Shadowhunter books, it’s way more fun going in blind. 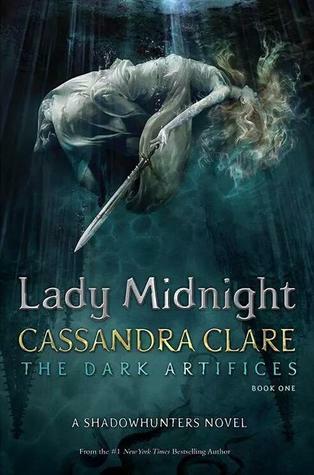 If you haven’t read any of the Shadowhunter books (which I highly recommend doing first), I think you can actually pick up Lady Midnight first, to some degree. (Acknowledging spoilers to relationships from the other books) Clare spends plenty of time in the initial chapters reminding readers what happened in City of Heavenly Fire, and filling new readers in on the basics of Shadowhunter lingo and law. Lady Midnight takes place 5 years after the Dark War (see CoHF) and focuses on Emma Cairstairs and the Blackthron family in the LA Institute. This is part of the reason I think new readers can pick this up first. I have to admit that for the first, oh, 400 pages or so, my anticipation and enjoyment of the book went from a 10 to about a 3. It seemed that some of the things I loved about the Shadowhunter books were missing. (the action, the snarky/witty/hilarious comments) It just felt mired down in a lot of drama. DYING for the next book already. Cassandra Clare, I’m sorry I doubted you while you spent those first 400 pages building up the foundation of this new series. You killed it, in the end.